A back-to-basics stainless steel and glass jar set for making mayonnaise, vegannaise, aiolo and more. With a specially designed oil dish that allows oil to flow slowly, just where it's needed, keeping your bench top clean and your mayo from splitting. Features a canning lid, mesh plunger, oil dish insert, and 350ml glass preserving jar. Go manual rather than electrical and get back to basics while avoiding extra plastic in the kitchen. High quality glass jar designed to be reused again and again. Create homemade sauces in minutes. 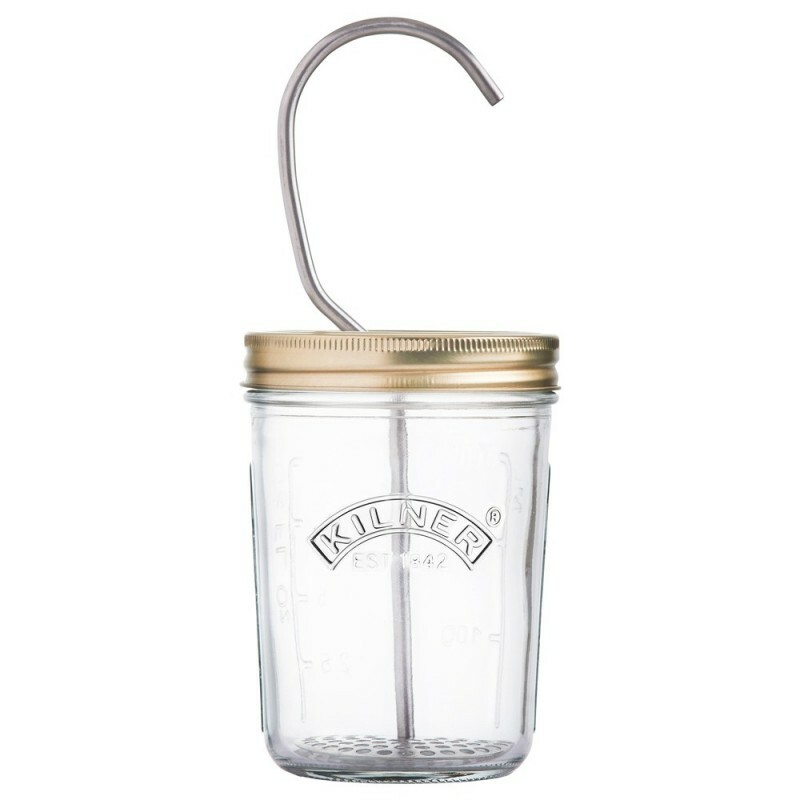 Practical stainless steel oil dish and mesh plunger that screws directly onto the included 350ml preserve jar. Ideal for making mayonnaise, vegannaise, aioli and more. BPA free glass jar, stainless steel oil dish and mesh plunger. Stainless canning lid. 25cm H (to top of plunger) x 13cm W. 350ml.